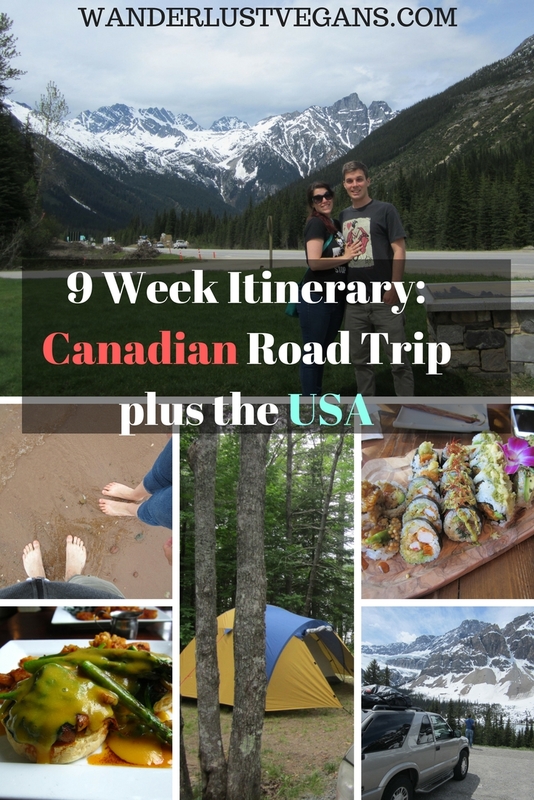 If you are thinking of going on a cross Canada road trip you might be wondering how you would plan such a long trip or what sort of time frame you need to do a cross Canada trip. We recently did a trip across Canada and it took us 9 weeks. You could easily spend more time in each place so this itinerary would work best as the minimum amount of time you need to do a trip like this and still be able to stop in lots of place across the country. Leaving Edmonton, make a day trip to Elk Island. You can even spend the night here. Carry on East to London and walk around the city, having dinner at Globally Local and grab yourself a vegan big mac! Once you loop through the park you can make your way back West! We had such a great time on this road trip following this itinerary. Before we went on this trip we really weren't sure how long it was going to take us exactly to drive across the country and back. It all depends on how long you would like to stay in all the places you visit. We, for the most part, were quite happy with how long we spent in each place but other people might find that this itinerary is too fast a pace. If you were to do this road trip any faster then you'd probably be bypassing a lot of stuff so that's why we'd suggest to plan on at least 9 weeks and then work from there. We hope this helps. For help planning your road trip see our page "Travel Tips: Road Trips". Here you will find help with planning, budgeting, packing, vegan meal planning and more. great details you shared, i would go there once in life. I heard about it even one of my friend went there for road trip. Hope next month me too attend him. Thanks for sharing good trip experience. Canada is a beautiful place to explore. Hope you get to one day.